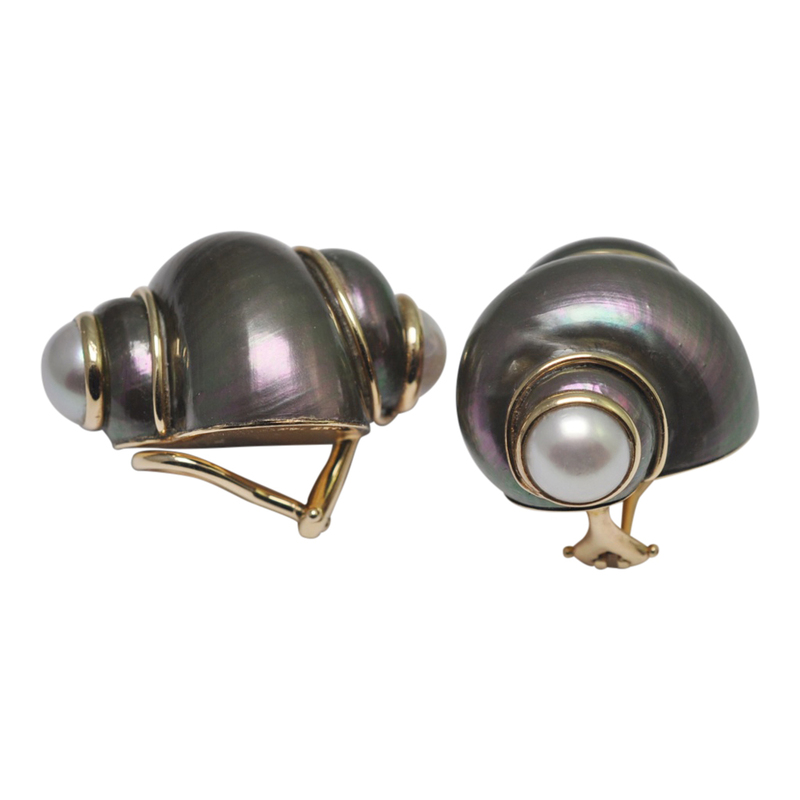 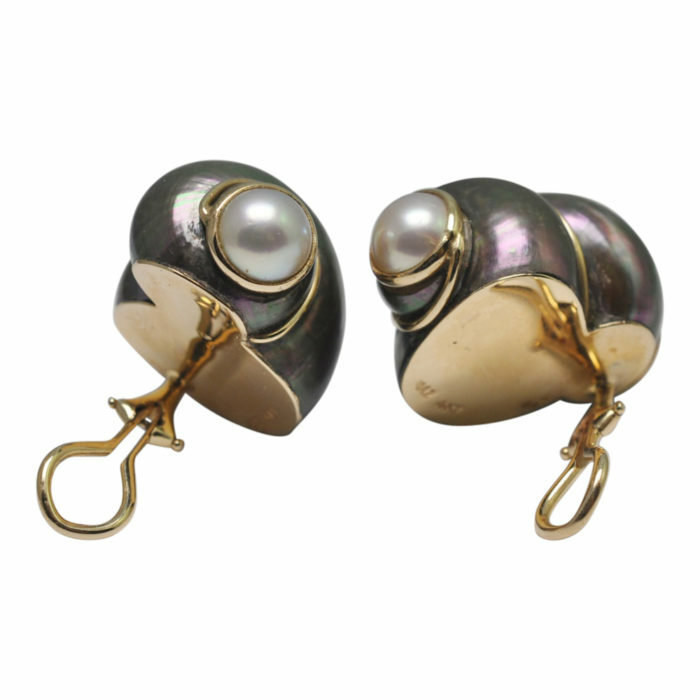 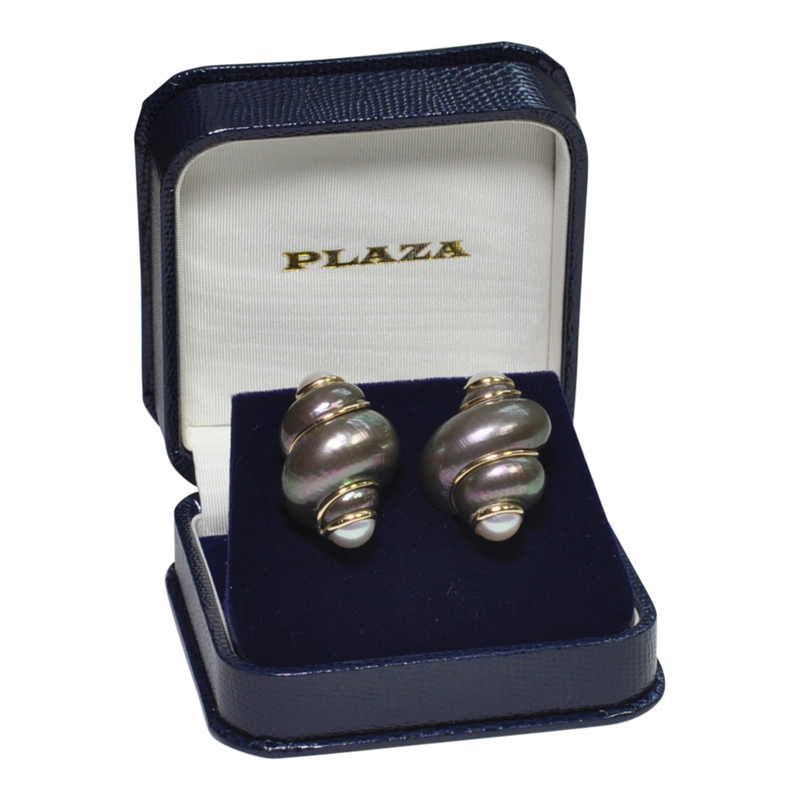 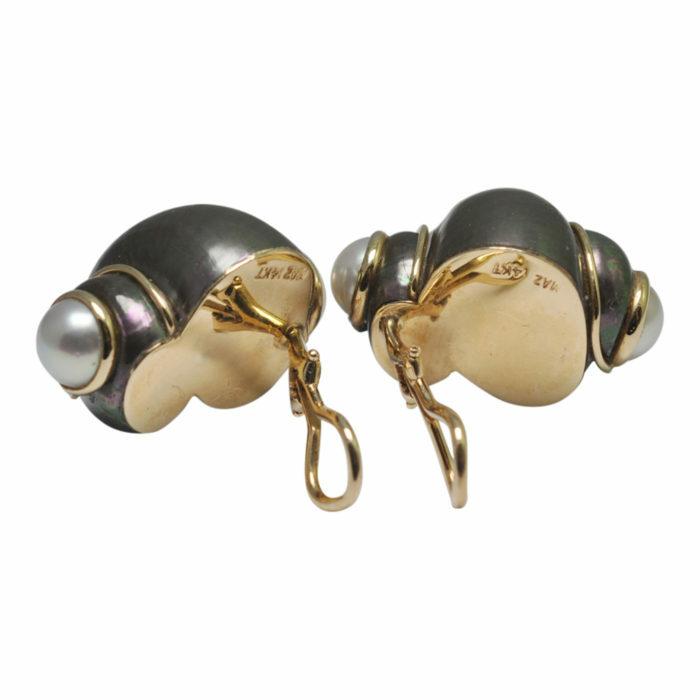 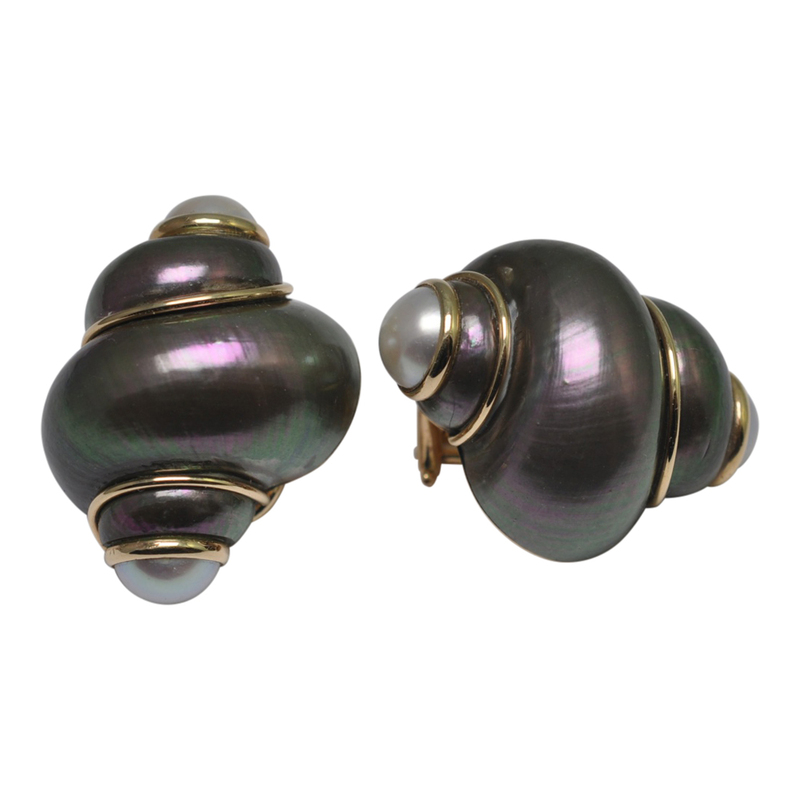 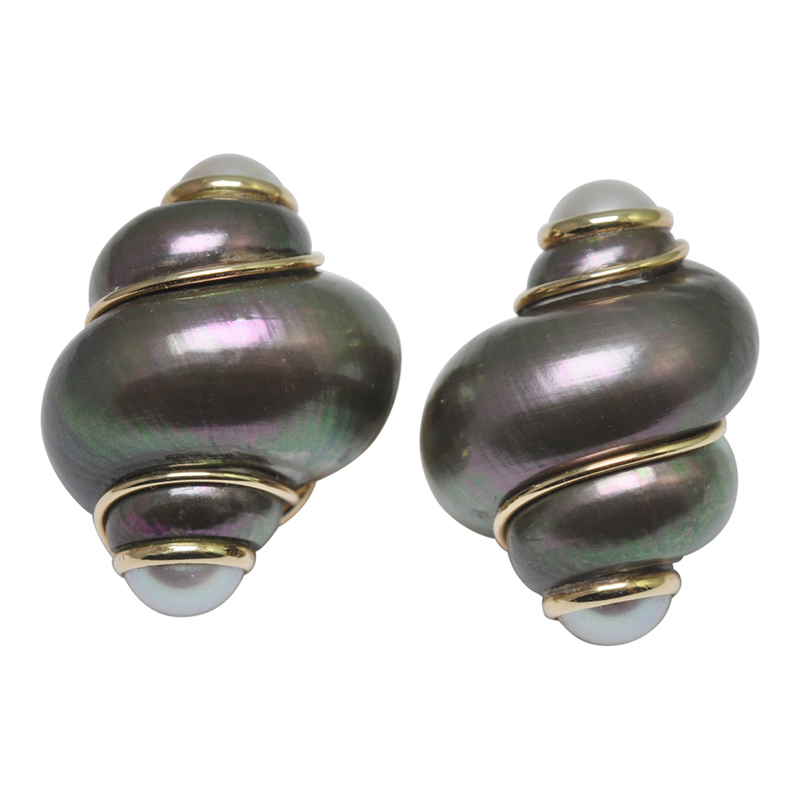 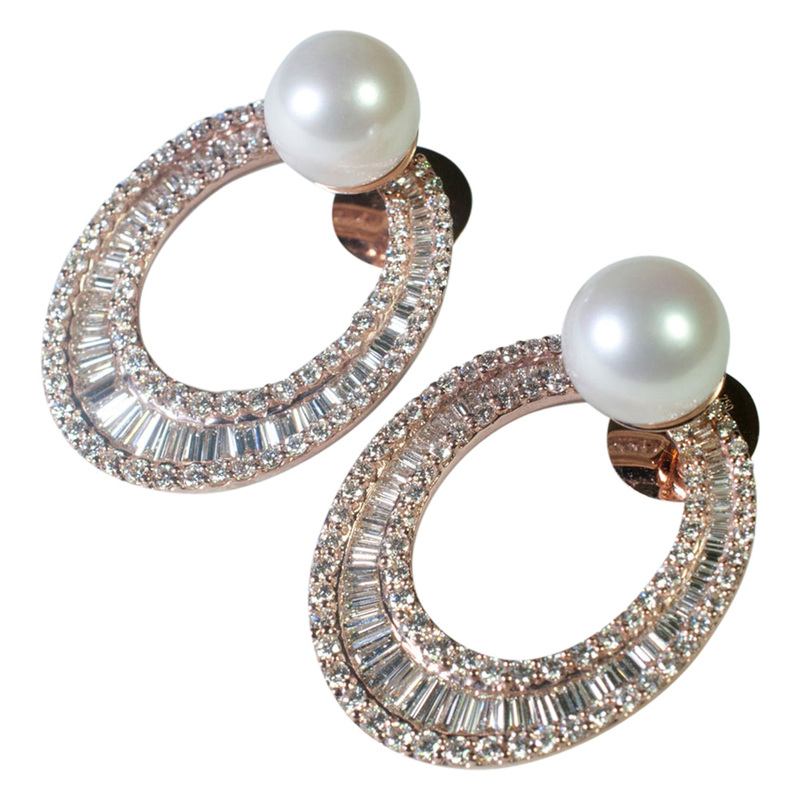 Classic shell and Mabé pearl 14ct gold clip on earrings by MAZ; these earrings are formed of “Oil on Water” coloured natural shell, Mabé pearls and gold cross wires. 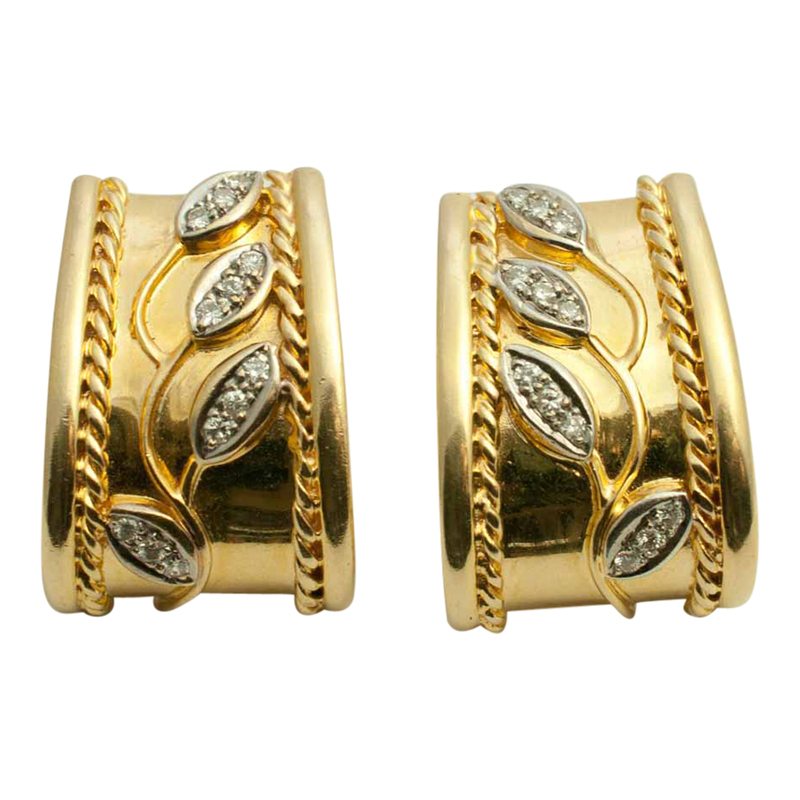 They are fixed with a gold plate and clip for non-pierced ears. 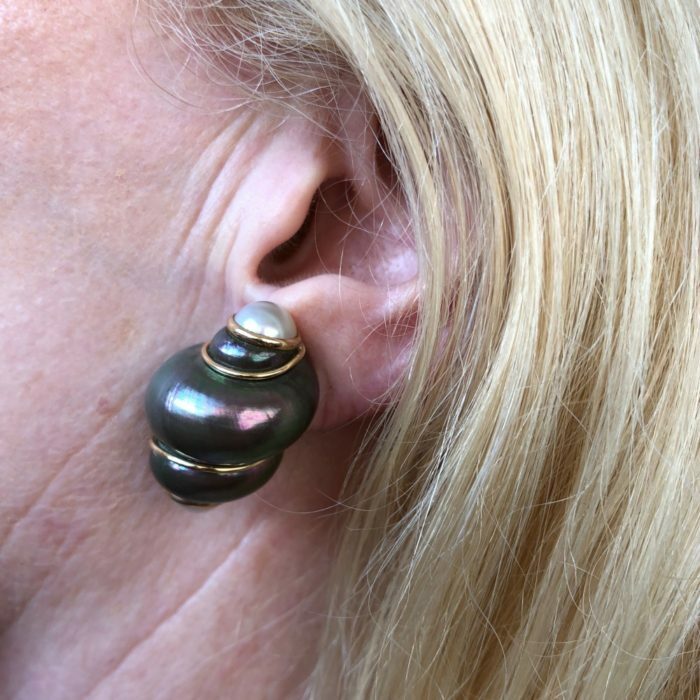 It is possible to add posts if required. 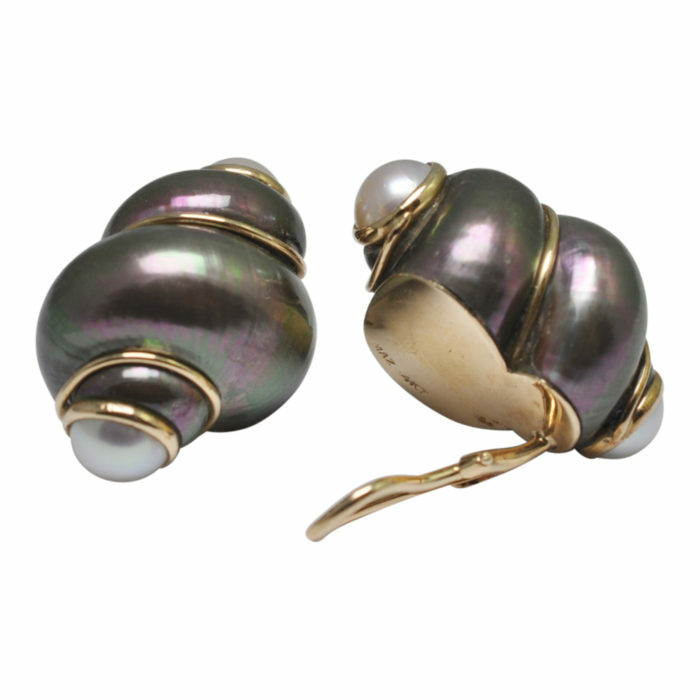 Signed MAZ 14kt; weight 15.3gms; measurements 3cms long x 2.2cms wide. 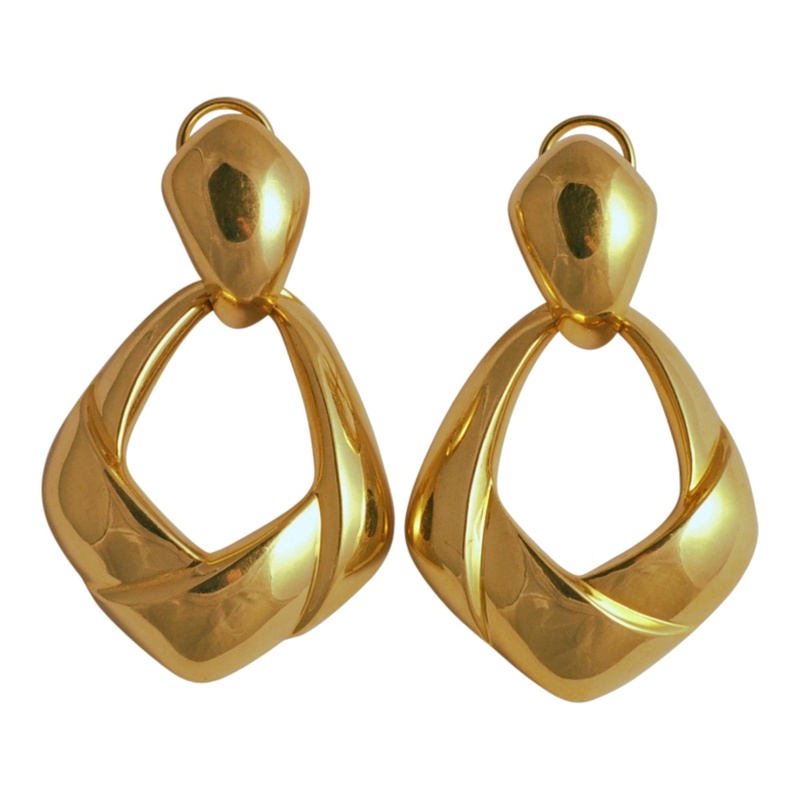 The earrings date from the 1980s and are in excellent condition.